A store believed to be the longest tenured merchant at the Light Street Pavilion of Baltimore's Harbor Place is closing for business Sunday, Sept. 9. 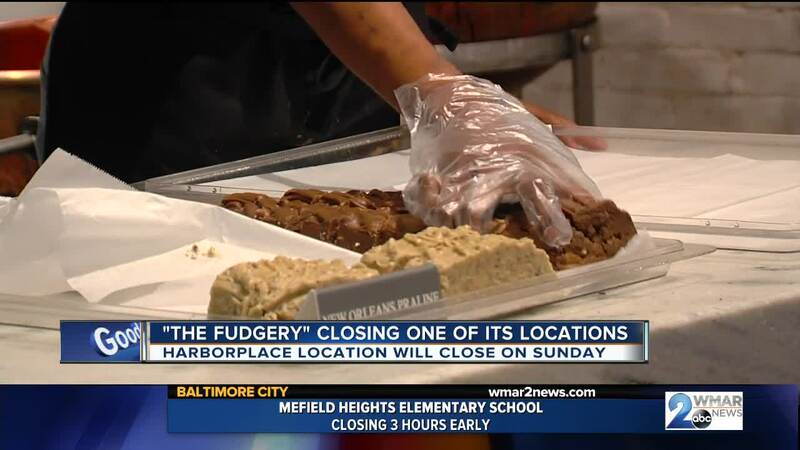 The Fudgery announced the "painful decision" Wednesday, with the company's founder and CEO AC Marshall saying the visibility provided by the Harbor Place storefront helped launch the company into other national markets. Former Fudgery employees were invited to come to the store Sunday to sing a few final songs in acknowledgment of the store's final day. 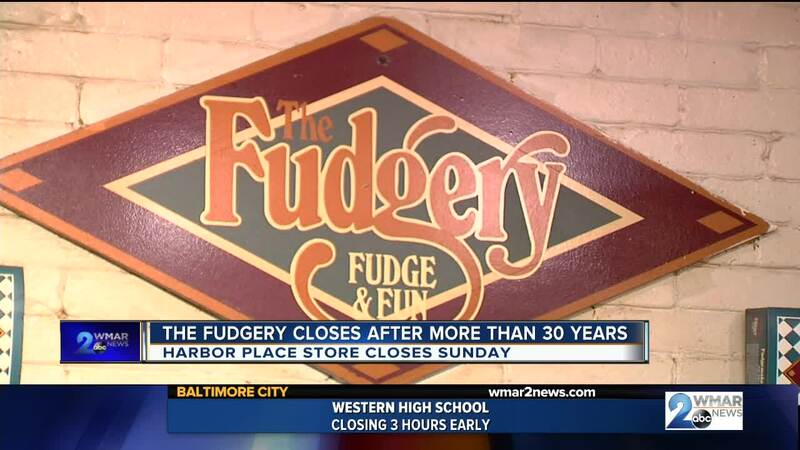 The Fudgery wishes to acknowledge the contributions of late James Rouse and Mayor Donald Schafer for their vision and determined efforts that led to the rebirth of the Inner Harbor. The company also wishes to acknowledge the contributions of Kathy Whiting, formerly of the Rouse Company, for all her dedicated efforts in making this store a reality. The current general manager, Valarie Whiteside, is also acknowledged for all of her many, many contributions. The Fudgery at Inner Harbor became a reservoir of talented and gifted singers that carried their energy to company stores across the nation. Of particular local interest is the well-known Baltimore group of Dru Hill and SisQo that formed during their tenure as fudge makers. The iconic Fudgery bell will ring one last time at the close of business on September 9th. The Fudgery invites its many friends and loyal customers to visit this final day of fudge making and fun.